Managing projects and teams remotely is the challenge for a project manager, and the most critical aspect is communication. It is extremely important to bring all team together with the customer for key meetings during project's timeline. Remote Presentation for Skype solution for ConceptDraw MINDMAP helps communicate with remote team and customers in visual manner on wide range of issues. Using this solution for regular status meetings allows you to push your team on tasks and keep task statuses up to date. 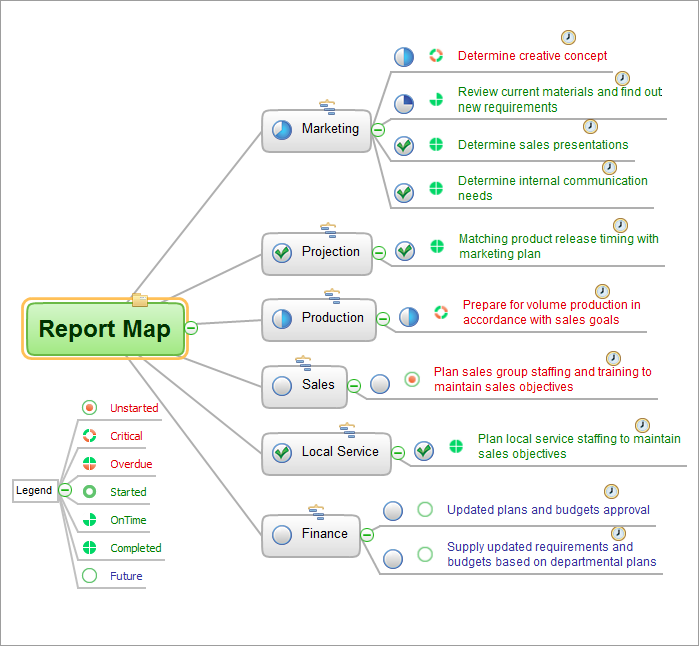 "Project status report" mind map sample is created using ConceptDraw MINDMAP mind mapping software. This mind map example helps to learn how to use remote mind map presentation via Skype for online team collaboration in project management.